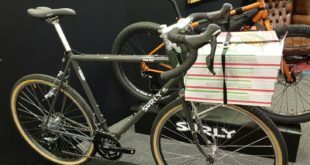 Hotlines’ focus for Core Bike was seemingly to make us want new bikes, with the Ghost AMR Riot debuted and a line of three Lynskey Silver Series framesets, all retailing at £999, on show. The Silver Series are now Lynskey’s cheapest frames. 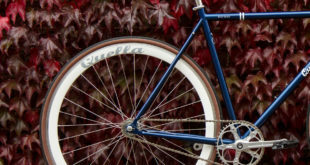 The price drop is simply down to the man hours required to make the frames, which don’t employ some of the label’s signature technologies, though still retain the lifetime warranty and American-made tag. Two road, the Breakaway and Peleton frames, are to be stocked alongside the MT29 hardtail frame. 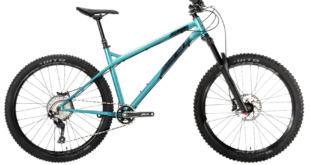 The Ghost AMR Riot employs 130mm travel front and rear and builds will start at £3,599 and span all the way to £6,399 for a top-spec construction. Meanwhile, Blackspire has introduced its take on the narrow-wide chainring, which is compatible with Shimano and Sram groupsets and boasts some rather hefty teeth that extend past the top of the chain. Ixs also introduced the £70 Chinook jacket in five sizes. With Velcro adjusted cuffs, a fleece neck liner and strong waterproofing and breathability qualities it’s a strong option for the price. On the right you’ll also see the new IXS RS helmet, retailing at £84.99. Finally, Spank has a patent pending on its Oozy trail rim, which offer multiple contact seals to prevent burp at low pressures. The 1,600-gram wheelset retails for just £449.99 and is supplied with all axle adapters bar 150mm. Another of Core’s distribution deal bonanzas came from Extra, who have added Novatech wheels, Crank Brothers and Enduro Bearings. Enduro Bearings are specialists in replacement or upgrade bearings for bottom brackets, hubs, suspension and the odd headset. Ceramic and hybrid ceramic units are also offered for those really looking to reduce friction. Replacement fork seals and bottom bracket adapters will also join Extra’s stocks imminently. The addition of Novatech proved a big draw, with Extra having placed its trust in the label following a lengthy period of using the wheels on its Intense demo fleet. There’s some top-value wheels in the line, such as the £350 CXD wheelset, available as a tubular or clincher wheelset, both laced to a disc ready hub. What’s more, Extra will carry Campagnolo compatible freehub bodies. An interesting product addition is Ergon’s CF3 Pro suspension seatpost, which is based around two adjoining carbon struts that offer 25mm of flex. The post will retail at £199 and come in 27.2 only. Crank Brothers stock will have landed with the distributor by the time you read this. Pre-show EBCO were talking of a ‘game changing’ e-bike, dubbed the UCL10, retailing at £799. Based largely around the Sunday Times gonged UCR30, the new build carries the same core components as its big brother, such as a lithium ion Sanyo battery and Trans X motor, with the main difference being the use of a rigid fork. “We’re now seeing people buying electric bikes because they want to. We think that there’s been a significant mindset shift and sales are starting to reflect that,” said co-owner Paul Stanforth. EBCO has consolidated the brands it carries, but expanded the stock of the AVE line carried to reflect the confidence it is seeing emerge in mid to high-end sales. With Patherwerk now behind the label, it is expected that the company will be one to watch in coming years. With no stock commitments, dealers are able to dip their toe in and start with just a few demo bikes. Offering another take on the sub £800 e-bike, Wisper Freego has introduced a 13.8kg fixie style electric build, said to be the lightest currently on the market. Based around a 200 watt motor, the Falcon is throttle-free and does its best not to look too much like an e-bike, with the batteries hidden away in water bottle style cases. The distributor has also introduced a new demo stock program where a dealer can be a stockist from just £200 a month thanks to a fixed term hire agreement for 12 months. This arrangement allows the dealer to chose three bikes for demo purposes, which can be sold through and replaced. The lease payments are 100 per cent tax deductible. 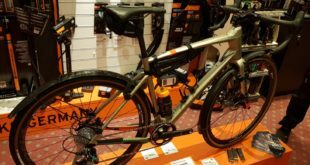 The distributor is also working keenly with bike shops to develop its corporate leasing scheme, which ultimately aims to have holiday parks, police forces and local authorities try out electric bikes with a view to buying a fleet should they get on with them.